Corrections, broadly defined, can be understood as any focused effort to remove error from written, printed, and digital texts. Textual errors are inevitable and often unpredictable: they may appear in the form of unintentional mistakes such as misspellings, misrepresented facts and names, or misplaced and missing information. Correctors may be authors, editors, printers, readers, and even, to an extent, censors. Although formally speaking “to correct” typically means “to set right,” corrections can (and often do) lead to further errors. In the process of correction, miscorrections and new errors may be introduced by authors themselves, their editors, typesetters Typesetter the person responsible for manually placing pieces of type on a forme line by line to prepare the text for print. See: Forme Type CLOSE or ESC, and even readers. ideological or content-based corrections, at the edges of what we might formally define as a “correction,” since they may be subjective and dependent on a particular context. These include, to an extent, acts of censorship and redactions. Corrections have appeared in various forms (and under different names) throughout the history of writing and textual transmission, and may be structured and systematic or reactive and chaotic. Although many mechanical and formalized methods for correction were a byproduct of technologies like the printing press and, later, the computer, the identification, study, and occasional correction of errors is concurrent with the invention of writing itself: there is arguably no such thing as a perfect text. Although errors are inherent to any form of communication, their corrections can become sites for discussion of authorial intent, collaboration, and the subsequent (intentional or accidental) textual interpretations. The study of errors and their corrections have given rise to many productive academic fields such as textual criticism, philology, and paleography. Corrections thus have the power to shift our understanding of error as a necessary yet valuable consequence of textual production. The history of textual criticism and early forms of correction are in many ways intertwined. Signs of correction have been preserved as early as the papyri of ancient Egypt. Indeed, the scholarship undertaken at the library of Alexandria continues to be carefully studied in order to bring to light early critical practices of textual transmission and preservation. Corrections in antiquity typically appear in the form of: comparison across copies (collating Collate to gather sheets or gatherings so that the pages are in proper sequence. Hence, the collation formula, which is a bibliographic description of the gatherings and the order in which they are gathered. This term is also used in the sense of a close comparison between two similar or ostensibly identical copies with the goal of identifying differences between copies. See: Signature Catchword CLOSE or ESC); correction by looking at another exemplar; identification and (occasional) removal of corrupt passages; and correction by conjectural emendation. At each subsequent level of textual copying and transmission, these methods were crucial—not just for the correction of errors, but indeed for the development of accurate forms of identifying and pointing out errors for future scholars, copyists, and scribes. When copying the original manuscript Manuscript any text written by hand. CLOSE or ESC, scribes often acted as both editors and proofreaders. The correction process was recursive and continuous: corrections happened during the act of writing (drafting and revising to prepare a fair copy Fair Copy the final draft of a text (presumably free of errors) provided by the author to prepare a text for publication. CLOSE or ESC); in the process of copying texts (as the scribe might make conjectures about straight-forward errors like misspellings); and after texts had been copied (wherein corrections might happen interlineally Interlinear written or printed between the normal lines of text. CLOSE or ESC or in the margin Margin white space surrounding the area taken up by printed matter. See: Back Margins Head Foot Manicule CLOSE or ESCs). Corrections could be made by the scribe, by another hired scribe, or an official corrector at the scriptorium. Lines could be silently rearranged or edited at the scribe or corrector’s own discretion depending on the size of the page Page one side of a leaf. See: Recto Leaf Verso Paginae PDF CLOSE or ESC or what they perceived as errors in the manuscript Manuscript any text written by hand. CLOSE or ESC copy.12 Because several scribes were often responsible for copying the same text, a comparison of even a single copy against an authorial manuscript Manuscript any text written by hand. CLOSE or ESC (where those have survived and have been positively identified) can show discrepancies and errors such as a skipped word or line. Errors by omission were indicated by the use of a signe de renvoir (signal of return), with the text to be inserted added in the margin Margin white space surrounding the area taken up by printed matter. See: Back Margins Head Foot Manicule CLOSE or ESCs (see figure 2). When it came to errors by addition—misspellings, repeated words or letters—scribes, correctors or, in the case of early drafts, authors themselves, could erase individual letters by using a scraping knife or pumice and manually inserting character Character any single meaningful mark that occurs in graphological communication; any single letter, punctuation mark, or special mark such as an asterisk, ampersand or question mark is a character, regardless of whether it is written by hand, printed, or manifested on a computer screen. See: Glyph CLOSE or ESCs where needed. Scribal errors were common enough; in transmitting words from one manuscript Manuscript any text written by hand. CLOSE or ESC to another, a scribe might mistake a letter for another, miss a catchword Catchword a word printed in the lower right of the last page of a section. It is the first word of the next section and is used to assemble the sections in the correct order. Frequently, catchwords will appear on each page, as a means of ensuring, in the proofing stage, that all type pages have been imposed in the correct orientation in the forme. The line on the page in which the catchword appears is called the direction line. See: Collate CLOSE or ESC at the end of the line, or skip over a line entirely. Nonetheless, scribes also made thoughtful and detailed corrections, acting as both editors and critics. As we have seen above, scribal interventions by means of corrections represent some of the earliest evidence of textual reception and even, as Daniel Wakelin has recently detailed, literary criticism.13 Beyond his duty to mechanically transmit words from one page Page one side of a leaf. See: Recto Leaf Verso Paginae PDF CLOSE or ESC to another, a particularly dedicated scribe would strive to make corrections with an eye to honing his craft as well as preserving the work’s textual integrity. The invention of the hand-press in the fifteenth century demanded that editors and printers develop new protocols for error correction. Following what Elizabeth Eisenstein identifies as “the printing revolution,” textual corrections could occur through amendments, stop-prints, proof Proof a trial print usually used for error-checking. See: Copyeditor CLOSE or ESC-corrections, cancel Cancel a new leaf or sheet that has been printed to replace a section of the text containing errors caught while it was undergoing its print run. See: Print Run CLOSE or ESC page Page one side of a leaf. See: Recto Leaf Verso Paginae PDF CLOSE or ESCs, and errata Errata a list of errors in the publication. Since errors could be found both throughout and after the initial print run, the presence of an errata list, and the number of items on it, can frequently be used to distinguish earlier from later impressions within an edition. 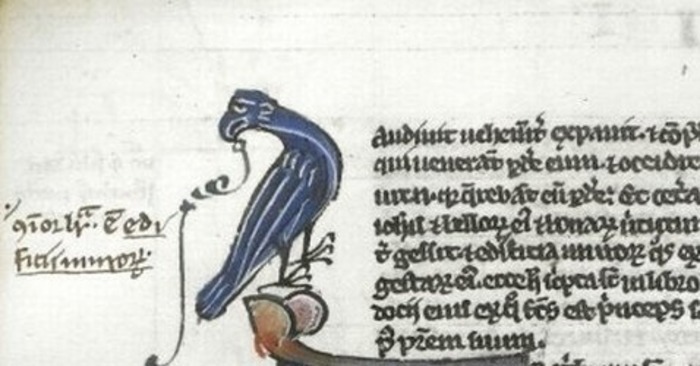 CLOSE or ESC.20 As in the case of manuscript Manuscript any text written by hand. CLOSE or ESCs, corrections occurred during the process of preparing a text for print (by authors, printers, and compositor Compositor the person responsible for arranging the type in the proper order so that it can be printed. CLOSE or ESCs), during the print-run (by printers, the author, or a professional corrector), after the edition had been completed (via errata Errata a list of errors in the publication. Since errors could be found both throughout and after the initial print run, the presence of an errata list, and the number of items on it, can frequently be used to distinguish earlier from later impressions within an edition. CLOSE or ESC sheet Sheet a whole piece of paper. CLOSE or ESCs, stamping Stamping the practice of using an inked stamp to transfer text onto a page, typically after it had been through the press. Stamping could also be used to add borders, signatures, or catchwords. See: catchwords. CLOSE or ESC in new words or letters, or pasting over the text), and even beyond publication in the hands of zealous readers. Authors were responsible for sending clear, “fair” copies of their work to the printer ideally as close to error-free as possible. Nonetheless, this did not always take place: printers’ notes in errata Errata a list of errors in the publication. Since errors could be found both throughout and after the initial print run, the presence of an errata list, and the number of items on it, can frequently be used to distinguish earlier from later impressions within an edition. CLOSE or ESC frequently blamed poorly written copies for errors in the edition, as typesetters Typesetter the person responsible for manually placing pieces of type on a forme line by line to prepare the text for print. See: Forme Type CLOSE or ESC had a difficult time making out garbled hands or corrections subscripted over the text.21 Even when an author employed a professional scribe to produce a fair copy Fair Copy the final draft of a text (presumably free of errors) provided by the author to prepare a text for publication. CLOSE or ESC, such transcriptions likewise offered the possibility of new errors being introduced. Once in the printing house, manuscript Manuscript any text written by hand. CLOSE or ESCs were typically read over and corrected prior to typesetting and printing. The compositor Compositor the person responsible for arranging the type in the proper order so that it can be printed. CLOSE or ESC, responsible for setting the manuscript Manuscript any text written by hand. CLOSE or ESC in type Type metal letters used in a printing press. See: Face Typeface Type-Founder x-height Ascenders Type Case Foul Case Galley Typesetter CLOSE or ESC, was expected to not only carefully avoid potential omissions or additions but also make small corrections where necessary. Yet this process also introduced new errors, such as mismatched catchwords Catchword a word printed in the lower right of the last page of a section. It is the first word of the next section and is used to assemble the sections in the correct order. Frequently, catchwords will appear on each page, as a means of ensuring, in the proofing stage, that all type pages have been imposed in the correct orientation in the forme. The line on the page in which the catchword appears is called the direction line. See: Collate CLOSE or ESC, skipped lines, or “foul case Foul Case a type case containing one or more letter types accidentally placed in the wrong letter box. See: Type Type Case CLOSE or ESC” errors, which occurred when a piece of type Type metal letters used in a printing press. See: Face Typeface Type-Founder x-height Ascenders Type Case Foul Case Galley Typesetter CLOSE or ESC had been accidentally placed in the wrong letter box. Once again, these surviving traces of errors, in addition to compositor Compositor the person responsible for arranging the type in the proper order so that it can be printed. CLOSE or ESCs’ idiosyncratic spelling choices, have proven extremely helpful for modern critics. Charlton Hinman’s highly detailed collation Collate to gather sheets or gatherings so that the pages are in proper sequence. Hence, the collation formula, which is a bibliographic description of the gatherings and the order in which they are gathered. This term is also used in the sense of a close comparison between two similar or ostensibly identical copies with the goal of identifying differences between copies. See: Signature Catchword CLOSE or ESC of fifty-five copies of the First Folio of Shakespeare’s collected works helped show that five compositor Compositor the person responsible for arranging the type in the proper order so that it can be printed. CLOSE or ESCs had worked on producing the edition (broadly referred to as Compositor Compositor the person responsible for arranging the type in the proper order so that it can be printed. CLOSE or ESCs A, B, C, D, and E). Scholars such as T. H. Howard-Hill, Gary Taylor, and Paul Werstine built on Hinman’s work by singling out which compositor Compositor the person responsible for arranging the type in the proper order so that it can be printed. CLOSE or ESCs worked on which parts of the collection and even identified four new compositor Compositor the person responsible for arranging the type in the proper order so that it can be printed. CLOSE or ESCs—F (Howard-Hill) and H, I, and J (Taylor).22 Their often-unique errors and type Type metal letters used in a printing press. See: Face Typeface Type-Founder x-height Ascenders Type Case Foul Case Galley Typesetter CLOSE or ESC choices allow scholars to identify (to varying degrees of certainty) from what copies each compositor Compositor the person responsible for arranging the type in the proper order so that it can be printed. CLOSE or ESC may have worked. As Anthony Grafton notes, corrections in the hand-press period were always discontinuous. 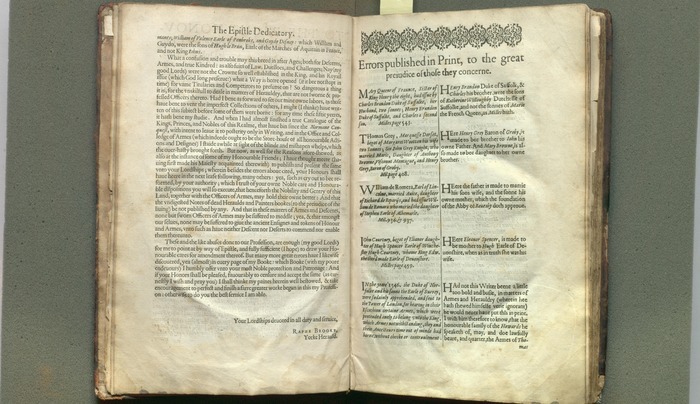 Unlike modern publishing houses, which typically print an entire copy of a text to be reviewed for corrections, early modern proof Proof a trial print usually used for error-checking. See: Copyeditor CLOSE or ESCs happened at the start as well as throughout an edition’s run. After some of the text had been set in type Type metal letters used in a printing press. See: Face Typeface Type-Founder x-height Ascenders Type Case Foul Case Galley Typesetter CLOSE or ESC, the printer would produce a forme Forme the page or pages of type locked into position in a chase and ready for printing. This term can also refer to the printed matter that results from the impression of a single forme, i.e., one side of a printed sheet. See: Stereotype Electrotype Typesetter CLOSE or ESC (one side of a sheet Sheet a whole piece of paper. CLOSE or ESC with a group of page Page one side of a leaf. See: Recto Leaf Verso Paginae PDF CLOSE or ESCs) to be given to the corrector and the author to look over. This work, whenever possible, was done at the printing house or close by, although authors sometimes were sent proof Proof a trial print usually used for error-checking. See: Copyeditor CLOSE or ESCs and took a long time to return their corrections, potentially delaying the printing process (see “Spotlight,” below). Professional correctors, especially in continental printing houses, were employed to go over proof Proof a trial print usually used for error-checking. See: Copyeditor CLOSE or ESCs as well as act as a copyeditor Copyeditor the person who is responsible for reviewing proofs and making corrections. See: Proof CLOSE or ESC, fixing issues of punctuation and spelling. This work was expensive, however, and more likely to be called upon when the printer and compositor Compositor the person responsible for arranging the type in the proper order so that it can be printed. CLOSE or ESC were unfamiliar with languages or styles used in a specialized text. Not unlike the manuscript Manuscript any text written by hand. CLOSE or ESC correctors and scribes who came before them, these correctors saw their labor as “both mechanical and intellectual”: correctors could be called upon to create indexes, look over graphic design choices, and work with authors on issues of content and meaning.23 In smaller printing houses, the corrector would typically be a master or senior journeyman, who would take over for the compositor Compositor the person responsible for arranging the type in the proper order so that it can be printed. CLOSE or ESC to check the proof Proof a trial print usually used for error-checking. See: Copyeditor CLOSE or ESCs for errors (as the compositor Compositor the person responsible for arranging the type in the proper order so that it can be printed. CLOSE or ESC was likely to overlook errors that might take long to correct). In collaboration with a “reading boy,” who typically read from the manuscript Manuscript any text written by hand. CLOSE or ESC out loud (with special inflections for punctuation), the corrector would then check the proof Proof a trial print usually used for error-checking. See: Copyeditor CLOSE or ESCs against the compositor Compositor the person responsible for arranging the type in the proper order so that it can be printed. CLOSE or ESC’s copy. The printer would then perform a “stop-press Stop-Press common abbreviation for a stop-press correction inserted at the last minute while the text is being printed. This often results in variant copies, where some might contain errors and others have been corrected. See: Print Run CLOSE or ESC” correction, stopping the printing to make corrections on the forme Forme the page or pages of type locked into position in a chase and ready for printing. This term can also refer to the printed matter that results from the impression of a single forme, i.e., one side of a printed sheet. See: Stereotype Electrotype Typesetter CLOSE or ESC and if necessary send the corrections back to the compositor Compositor the person responsible for arranging the type in the proper order so that it can be printed. CLOSE or ESC for resetting the type Type metal letters used in a printing press. See: Face Typeface Type-Founder x-height Ascenders Type Case Foul Case Galley Typesetter CLOSE or ESC before continuing the print run Print Run the number of copies produced in a single edition or issue. See: Stop-Press Cancel CLOSE or ESC. Much of this process happened continuously throughout the run, however, as new errors were found and new corrections introduced. This effectively ensured that even in the run of a single edition few copies would be identical to one another. Elizabeth Eisenstein suggests that this reproduction of errors was uniquely important for scholarly debate since manuscript Manuscript any text written by hand. CLOSE or ESCs did not allow for larger-scale comparisons and discussion at the level that print could. The mass-production of the printing press ensured that the errors present in a first edition (especially of classical texts for which, as we have seen, there was a growing body of scholarship) could help create what she terms “‘textus receptus’—a text that provided a common base for later disputes among scholars.” Because scholars could collectively access (more or less) the same copy of the text, “the persistence of learned quarrels over each edition had the additional benefit of stimulation of fresh findings bearing on classical studies and natural history.”24 As we will see below, this kind of community-driven correction is, in many ways, echoed in the types of collaborative editing scholars and readers perform on online texts. After the print run Print Run the number of copies produced in a single edition or issue. See: Stop-Press Cancel CLOSE or ESC was completed, any remaining errors could be corrected by cancel Cancel a new leaf or sheet that has been printed to replace a section of the text containing errors caught while it was undergoing its print run. 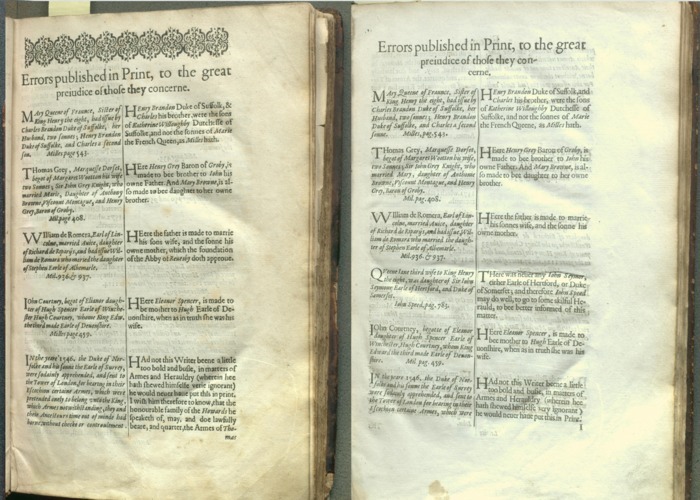 See: Print Run CLOSE or ESC-leaves Leaf the sheet of paper or parchment with one page on its front side (recto) and another on its back (verso). See: Recto Verso Page CLOSE or ESC (typical) or cancel Cancel a new leaf or sheet that has been printed to replace a section of the text containing errors caught while it was undergoing its print run. See: Print Run CLOSE or ESC-sheet Sheet a whole piece of paper. CLOSE or ESCs (less common): the original leaf Leaf the sheet of paper or parchment with one page on its front side (recto) and another on its back (verso). See: Recto Verso Page CLOSE or ESC or sheet Sheet a whole piece of paper. CLOSE or ESC would be destroyed and a corrected version would be typeset and either substituted by breaking up the binding (in the case of cancel Cancel a new leaf or sheet that has been printed to replace a section of the text containing errors caught while it was undergoing its print run. See: Print Run CLOSE or ESC-sheet Sheet a whole piece of paper. CLOSE or ESCs) or pasted over a page Page one side of a leaf. See: Recto Leaf Verso Paginae PDF CLOSE or ESC on the book to replace it (cancel Cancel a new leaf or sheet that has been printed to replace a section of the text containing errors caught while it was undergoing its print run. See: Print Run CLOSE or ESC-leaf Leaf the sheet of paper or parchment with one page on its front side (recto) and another on its back (verso). See: Recto Verso Page CLOSE or ESC). A trimmed slip could also be pasted to replace a single word or line, as in the infamous case of the 1610 Geneva Bible, in which a passage meant to quote Jesus said “Judas” instead25 (see figure 4). At the margins of what we might formally call a textual correction, the early modern period also produced some of the earliest evidence of “institutionalized press corrections” that were, arguably, a call for censorship. In response to Archbishop Niccolo Perrotti’s request for accurate corrections of highly specialized books, the Council of Trent (1545) was charged with putting together an ever-growing list of works considered offensive to Catholic devotional practices. The list would later split into two parts: the Index Librorum Prohibitorum, which listed books and authors to be banned from circulation, and the Index Librorum Expurgatorius, which catalogued books that could eventually be sold and printed following extensive correction.35 In the late sixteenth century, the Pope employed both scholars and laymen to go over the list of corrections and help place the ever-growing number of books on the Index Expurgatorius back into circulation. According to Ugo Rozzo, however, some correctors were reticent to alter or disrupt texts they admired, while others simply felt that by the time the books were back in circulation they would no longer have a market of readers, making the corrections ultimately pointless.36 As a result, works were often held in a suspended state away from the public for long periods of time. Even when books were allowed through such strict censorship, there is evidence that devout readers or publishers could take it upon themselves to correct or redact publications they found to be offensive whether or not they were included in the Index. Although from a bibliographical perspective these redactions may not constitute a textual correction (because they deal in ideological disputes over content, rather than the type-setting and clarity of the text itself), it is clear that the line between control, correction, and censorship was and continues to be a tenuous one (see figure 6). By the nineteenth century, the invention of the steam-powered press in 1814 and, later, the rotary press in 1843 helped stabilize and accelerate the printing process. Texts printed in this period did not necessarily contain fewer errors, but those errors could be much more quickly corrected with minimal disruption to the print run Print Run the number of copies produced in a single edition or issue. See: Stop-Press Cancel CLOSE or ESC. The development of monotype Monotype a twentieth-century machine used to produce metal types used for relief printing. See: Linotype CLOSE or ESC and linotype Linotype a machine that casts a line of hot-metal type used primarily to print newspapers. See: Monotype CLOSE or ESC machines in the late nineteenth century introduced a mechanized process for setting type Type metal letters used in a printing press. See: Face Typeface Type-Founder x-height Ascenders Type Case Foul Case Galley Typesetter CLOSE or ESC. This process made error correction faster— especially in the case of monotype Monotype a twentieth-century machine used to produce metal types used for relief printing. See: Linotype CLOSE or ESC, where a single letter could be replaced without ruining the entire cast row. Stereotyping Stereotype a common method of printing in the 19th century where molds, made from complete formes of type, were used to re-print a work without having to set the type again. See: Forme CLOSE or ESC (1811) and electrotyping Electrotype a process by which a plate for printing in relief is created by coating a forme with a conductive material and adding copper or nickel to the surface. See: Forme CLOSE or ESC (1841) eventually allowed for a metal plate Plate the surface, usually metal, that carries an image to be printed. CLOSE or ESC to be produced from a previously set type Type metal letters used in a printing press. See: Face Typeface Type-Founder x-height Ascenders Type Case Foul Case Galley Typesetter CLOSE or ESC, which reduced the number of errors introduced by resetting type Type metal letters used in a printing press. See: Face Typeface Type-Founder x-height Ascenders Type Case Foul Case Galley Typesetter CLOSE or ESC for new editions. After the metal plate Plate the surface, usually metal, that carries an image to be printed. CLOSE or ESC had been created from the set type Type metal letters used in a printing press. See: Face Typeface Type-Founder x-height Ascenders Type Case Foul Case Galley Typesetter CLOSE or ESC, corrections could be made by cutting or punching out the mistake and soldering in corrected pieces of type Type metal letters used in a printing press. See: Face Typeface Type-Founder x-height Ascenders Type Case Foul Case Galley Typesetter CLOSE or ESC (“botching”) or soldering in corrected pieces of a plate Plate the surface, usually metal, that carries an image to be printed. CLOSE or ESC (“mends”). This could be a painstaking process that involved carefully chiseling out the correct size for the new insertion or drilling a hole where the plate Plate the surface, usually metal, that carries an image to be printed. CLOSE or ESC was to be mended.39 In possession of a fully-corrected plate Plate the surface, usually metal, that carries an image to be printed. CLOSE or ESC, however, a printer could make several reprints and reuse the same plate Plate the surface, usually metal, that carries an image to be printed. CLOSE or ESCs for many years to come. This process, then, helped ensure that new errors were less likely to be introduced in the process of preparing reprints. If the printing press helped usher in new kinds of systematic corrections, digital technologies have similarly brought about the need for medium-specific corrections, such as addressing errors in metadata Metadata descriptive information about a given document, such as place of publication, author, imprint. CLOSE or ESC. Metadata Metadata descriptive information about a given document, such as place of publication, author, imprint. CLOSE or ESC refers to the descriptive information which allows search engines and websites to encode and catalogue front-end data. If the metadata Metadata descriptive information about a given document, such as place of publication, author, imprint. CLOSE or ESC on a given book is incorrect, that book may not come up on a targeted search or may be incorrectly catalogued by the system. Such corrections can only be performed on the back end of the website, typically by its developers. OCR and other digitized methods of textual transcription and data gathering also allow for a wholly different type of correction: the modernization of spelling. Editors working on materials printed before English spelling was formally standardized in the eighteenth-century sometimes choose to modernize titles as well as names of printers, publishers, and other collaborators. While not formally a correction in the sense we have discussed so far, these alterations can, in theory, facilitate the inclusion of variants Variant a manuscript or printed text that contains textual variations (such as different words or spelling) from another known copy; can also refer to the textual variation itself. See: State CLOSE or ESC in search engines. Yet, many researchers find that such editorial choices are misleading.47 A scholar attempting to understand textual variation and spelling choices might be unable to perform accurate research due to such modernizations. Worse yet, because these modifications are often not done transparently, for many digital repositories it would be difficult or impossible to know how the search results have been impacted by modernized metadata Metadata descriptive information about a given document, such as place of publication, author, imprint. CLOSE or ESC. Wikipedia is arguably the best modern example of the power corrections have to influence readership and reception. Thriving on user input to create, edit, and amend its entries, Wikipedia once had a reputation as an unreliable and untrustworthy source. For example, in 2006 several United States Congress staff members were accused of editing page Page one side of a leaf. See: Recto Leaf Verso Paginae PDF CLOSE or ESCs for politicians such as Marty Meehan and Joe Biden to remove undesirable facts.48 But Wikipedia corrections have also helped expose deeply problematic issues within the study of the literary canon. In 2013, a Wayne State University graduate student in history, John Pack Lambert, began systematically removing women writers from the “American Novelists” category and placing them in the “American Woman Novelists” category he had newly created. The change (to call them “corrections” might qualify as a political move of its own) caught the attention of novelist Amanda Fillipacchi and soon sparked a larger debate among Wikipedia editors on the validity of Lambert’s (arguably sexist) editorial choices.49 Although a critical scholar might accurately perceive these changes as deeply ideological and therefore not technically “corrections,” Lambert claimed his goal was to facilitate searching at the granular level of metadata Metadata descriptive information about a given document, such as place of publication, author, imprint. CLOSE or ESC—by making a distinction between “women novelists” and “American novelists,” he intended to correct ambiguities in the search engine. Of course, his work was arguably motivated by larger and more problematic distinctions between what counts as traditional canonic literature. Much like our example regarding the Council of Trent, this demonstrates that the notion of “correction” may be used as a smoke screen to avow certain kinds of ideological changes at the level of textual content. Despite these issues, Wikipedia is nonetheless an interesting model for transparency in the correction process: at the same rate as erroneous information might be created, it can just as quickly be caught, discussed, and corrected—or at least marked for correction in anticipation of more knowledgeable editors (see figure 7). With the advent of the internet and social media, texts and ideas are markedly unfinished, open to interpretation, and subject to correction. Although some may argue that this has made the twenty-first century an age of unstable, unreliable information, as we have seen in this historical overview readers have always perceived texts as open to corrections and revisions in one way or another. 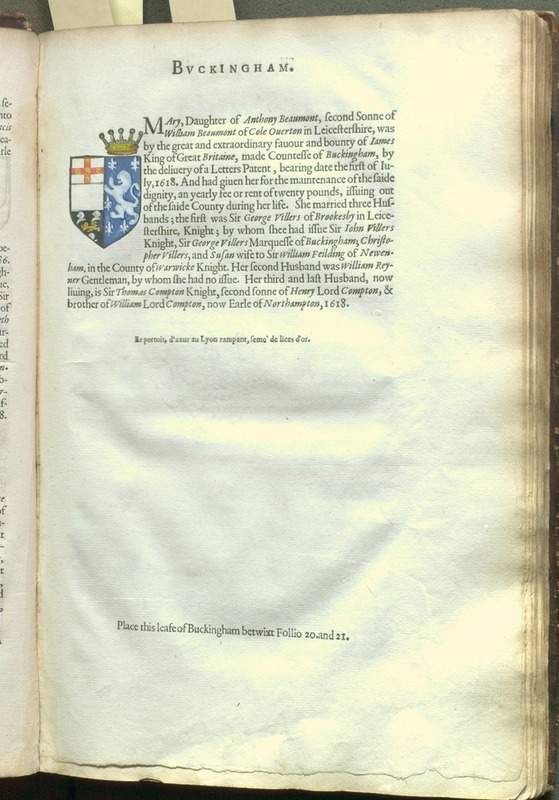 Twenty-five years later, Brooke published a heraldry book of his own, the Catalogue and Succession of the Kings, Princes, Dukes, Marquesses, Earles, and Viscounts of this Realme of England, since the Norman Conquest, to this Present Yeare, printed by William Jaggard. 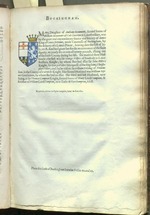 In the preface to King James, he argues that his aim with the edition is to “discover and reforme many things heretofore grossley mistaken, and abused by ignorant persons who, venturing beyond their owne element and skill to write of this subject, have shewed themselves more bold and busie, then skillfull in Heraldry.”52 Yet Brooke himself later admits to the introduction of new errors, mainly in his list of “Notes of Dead Heralds” but also “many more great errors have I likewise discovered, yea (almost) in every page Page one side of a leaf. See: Recto Leaf Verso Paginae PDF CLOSE or ESC of my booke,” although he fails to specify what kinds of errors these might be.53 Preceding the errata Errata a list of errors in the publication. Since errors could be found both throughout and after the initial print run, the presence of an errata list, and the number of items on it, can frequently be used to distinguish earlier from later impressions within an edition. CLOSE or ESC for this volume, Brooke offers a list of “errors published in print, to the great prejudice of those they concern” (see figure 8). Much like in his Discovery of Errors, the tone of Brooke’s corrections is derisive and snide, addressing even typographical errors such as a switch in numbers—which accidentally stated King John was born in 1227 and died in 1572—with a sarcastic remark that “surely I have not read of any so olde since Christs time.”54 Ironically, Brooke’s own edition was rife with pagination Pagination the numbering of pages. See: Foliation CLOSE or ESC issues and other more glaring errors, something the author seemed uneasy about admitting (see figure 9). Having witnessed the level of scorn with which Brooke treated his fellow authors, Jaggard should not have been surprised to see his own reputation attacked in the second of edition of the Catalogue and Succession, published in 1622 by William Stansby. In addition to a slightly revised dedication to King James, the edition includes a preface “To the Honourable and Judicious Reader.” Brooke announces that his second edition not only includes additional materials but also that he has corrected “many escapes, and mistakings, committed by the printer, whilst my sickness absented me from the presse, at the first publication” and which, according to him, have given his “envious detractors” cause for critique.55 Brooke preemptively responds to his future critics, stating that even should they find errors in his work (which any person inevitably will, as evidenced by the printed errata Errata a list of errors in the publication. Since errors could be found both throughout and after the initial print run, the presence of an errata list, and the number of items on it, can frequently be used to distinguish earlier from later impressions within an edition. CLOSE or ESC list immediately below his preface), the reader should keep in mind “how much more painful it is, to compile a laborious Volume, then to carpe at it.”56 The irony of this statement seems lost on Brooke, who had already earned a reputation as overly critical and antagonistic. This rant is particularly illuminating, as it offers evidence that authors were often present at the printing house to look over the correction of errors and that, whenever necessary, proof Proof a trial print usually used for error-checking. See: Copyeditor CLOSE or ESCs might be sent to their home for proper revision. It further illustrates some key differences between errors that are natural to the hand-press process, including problems with spelling or grammar (“literal errors”) and what Jaggard terms “material faults,” which come down to the argument and message of the text. Indeed, Jaggard’s editions for both Vincent and Brooke feature a number of typical errors and corrections such as mislabeled pagination Pagination the numbering of pages. See: Foliation CLOSE or ESC, inserted leaf Leaf the sheet of paper or parchment with one page on its front side (recto) and another on its back (verso). See: Recto Verso Page CLOSE or ESC cancel Cancel a new leaf or sheet that has been printed to replace a section of the text containing errors caught while it was undergoing its print run. See: Print Run CLOSE or ESCs (see figures 10 and 11), pasted-on cancel Cancel a new leaf or sheet that has been printed to replace a section of the text containing errors caught while it was undergoing its print run. See: Print Run CLOSE or ESCs (see figure 12), and overprinting Overprinting a correction made to a text by running the sheet over through the press a second time and superimposing the correction or by hand-stamping a single letter over an already-printed one. CLOSE or ESC (putting the sheet Sheet a whole piece of paper. CLOSE or ESC through the press a second time to add in an omitted line)60 (see figure 13). The impact of error and correction in these publications is both literal and rhetorical: we may see clearly through Brooke’s (and Vincent’s) intentions to self-aggrandize in claiming to perform a public service of corrections. And yet, the fact that Brooke’s own printer felt he needed to formally join the controversy suggests that printing houses drew a very hard line between acceptable errors, for which they candidly asked the reader’s pardon and assistance (as Jaggard says in the errata Errata a list of errors in the publication. Since errors could be found both throughout and after the initial print run, the presence of an errata list, and the number of items on it, can frequently be used to distinguish earlier from later impressions within an edition. CLOSE or ESC to this Discovery of Errors: “misconstruction afterwards is not more common, then slips are incident to books in the presse”) and errors of interpretation, for which the press should not be blamed or even be expected to intervene (see figure 14). Whereas scribes might often feel compelled to make interpretative and critical decisions in copying a manuscript Manuscript any text written by hand. CLOSE or ESC, this behavior suggests a change in perspectives: despite any potential errors and technical corrections, the press had to maintain a mostly dispassionate, mechanical approach—otherwise books might take years to finally be ready for the shop. These examples demonstrate the degree to which errors and their corrections could become a contentious subject, representative not just of professional reputation and pride but, more broadly, of personal ideology. Further, even in their overzealous approach toward correction, Brooke and Vincent (and their printers, Jaggard and Stansby) could not prevent the introduction of new errors. Whereas it may be pointless to seek an error-free final copy, the errors and corrections that linger in written texts have provided (and will continue to provide) readers and scholars with a rich account of the structures, practices, and shortcomings of textual production, reproduction, and transmission as well as the efforts of scholarly editing in recovering or emending the many accidentals Accidentals term used by W. W. Greg to define errors that do not typically affect author's meaning, such as spelling variation and punctuation errors. CLOSE or ESC and intentions of authors, scribes, print workers, and digital editors alike. 1 See L. D. Reynolds and N. G. Wilson, Scribes and Scholars: A Guide to the Transmission of Greek and Latin Literature (Oxford: Oxford University Press, 1968), 142. 2 Eric W. Scherbenske, Canonizing Paul: Ancient Editorial Practice and the Corpus Paulinum (Oxford: Oxford University Press, 2013), 16-20. See also J. E. G. Zetzel, “The Subscriptions in the Manuscripts of Livy and Fronto and The Meaning of Emendatio,” Classical Philology 75 (1980): 38-59. 3 J. E. G. Zetzel, “Religion, Rhetoric, and Editorial Technique: Reconstructing the Classics,” in Palimpsest: Editorial Theory in the Humanities, ed. George Bornstein and Ralph G. Williams (Ann Arbor: University of Michigan Press, 1993), 106. 4 E. J. Kenney, “Books and Readers in the Roman World,” in The Cambridge History of Classical Literature II (Cambridge: Cambridge University Press, 1982), 18. 5 For more on the history of editorial marks, see Keith Houston, Shady Characters: The Secret Life of Punctuation, Symbols, and Other Typographical Marks (New York: W. W. Norton, 2013). 6 For an extensive study of the work of Origen, “the first Christian biblical scholar” and his successors, see Anthony Grafton and Megan Williams, Christianity and the Transformation of the Book: Origen, Eusebius, and the Library of Caesarea (London: The Belknap Press of Harvard University Press, 2006). 7 For more on the origins of paleography, see Ludwig Traube, “Geschichte des Paläographie,” in Vorlesungen und Abhandlungen (Munich: C. H. Beck, 1909). For an introductory overview, see L. D. Reynolds and N. G. Wilson, Scribes and Scholars: A Guide to the Transmission of Greek and Latin Literature (Oxford: Oxford University Press, 1968), 190-289. 8 See Anthony Grafton, Joseph Scaliger: A Study in the History of Classical Scholarship Volume 1 (Oxford: Clarendon Press, 1983). 9 Harold Love, Scribal Publication in Seventeenth-Century England (Oxford: Oxford University Press, 1993). 10 For a detailed discussion of the evolution of such corrections, see Michael T. Clanchy, “Looking Back from the Invention of Printing,” in Literacy in Historical Perspective, ed. Daniel P. Resnick (Washington, D.C.: Library of Congress, 1983), 7-22. 11 See Phillip Gaskell, A New Introduction to Bibliography (New Castle, DE: Oak Knoll Press, 1995), 110-116. 12 For more, see Julia Crick and Alexandra Walsham, The Uses of Script and Print, 1300–1700 (Cambridge, UK: Cambridge University Press, 2004); Harold Love, Scribal Publication in Seventeenth-Century England (Oxford: Oxford University Press, 1993); and Peter Beal and A. S. G Edwards, Scribes and Transmission in English Manuscripts, 1400-1700 (London: British Library, 2005). 13 Daniel Wakelin, Scribal Correction and Literary Craft: Early Manuscripts 1375-1510 (Cambridge: Cambridge University Press, 2014), 43-71. 14 See F. W. Ritschl, De Dionysii Halic. Antiquitatibus Romanis (Bresslau, 1838). For detailed studies on Latin Textual Criticism, see J. E. G. Zetzel, Latin Textual Criticism (Salem, NH: Ayer, 1984) and, more recently, Richard Tarrant, Texts, Editors, and Readers: Methods and Problems in Latin Textual Criticism (Cambridge: Cambridge University Press, 2016). 15 G. Kane qtd. in Takako Kato, “Corrected Mistakes in Cambridge University Library MS Gg 4.27” in Design and Distribution of Late Medieval Manuscripts in England, eds. Margaret Connolly and Linne R. Mooney (Suffolk: Boydell and Brewer, 2008), 67-69. For examples of such studies in both medieval and ancient scholarship, see Eugene Vinaver, “Principles of Textual Emendation,” in Studies in French Language and Literature Presented to Professor Mildred K. Pope (Manchester: Manchester University Press, 1939); Anthony Grafton, Defenders of the Text: The Traditions of Scholarship in an Age of Science: 1450–1800 (Cambridge, MA: Harvard University Press, 1991); and Orietta Da Rold, “The Significance of Scribal Corrections in Cambridge, University Library MS DD.4.24 of Chaucer’s Canterbury Tales,” The Chaucer Review, 41.1 (2007): 393-438. 16 Da Rold, “The Significance of Scribal Corrections,” and her companion website, The Dd Manuscript, part of The Norman Blake Editions of The Canterbury Tales. 17 See Charlotte Brewer, Editing Piers Plowman: The Evolution of the Text (Cambridge: Cambridge University Press, 1996) and Lawrence Warner, The Myth of Piers Plowman: Constructing a Medieval Literary Archive (Cambridge: Cambridge University Press, 2014). 18 Mary Hamel, “Scribal Self-Corrections in the Thornton Morte Arthure,” Studies in Bibliography 36 (1983): 119-37. 19 D. F. McKenzie, Bibliography and the Sociology of Texts (Cambridge: Cambridge University Press, 1985), 5. 20 Elizabeth Eisenstein, The Printing Press as an Agent of Change (Cambridge: Cambridge University Press, 1982). 21 Percy Simpson, Proofreading in the Sixteenth, Seventeenth, and Eighteenth Centuries (Oxford: Oxford University Press, 1935), 33-4. 22 Carlton Hinman, The Printing and Proofreading of the First Folio of Shakespeare (Oxford: Clarendon Press, 1963); T. H. Howard-Hill, "The Compositors of Shakespeare's Folio Comedies," Studies in Bibliography 26 (1973): 61-106.; Gary Taylor, “The Shrinking Compositor A of the Shakespeare First Folio,” Studies in Bibliography 34 (1981): 96-117; Paul Werstine, Cases and Compositors in the Shakespeare First Folio Comedies (Charlottesville, VA: University of Virginia Bibliographical Society, 1982) and Paul Werstine, Early Modern Playhouse Manuscripts and the Editing of Shakespeare (Cambridge, MA: Cambridge University Press, 2013). 23 See Anthony Grafton, The Culture of Correction in Renaissance Europe (London: British Library, 2011), 112ff. 24 Elizabeth Eisenstein, The Printing Revolution in Early Modern Europe (Cambridge: Cambridge University Press, 1983; 2nd ed. 2012), 350-1. 25 For more curious and entertaining examples of cancel Cancel a new leaf or sheet that has been printed to replace a section of the text containing errors caught while it was undergoing its print run. 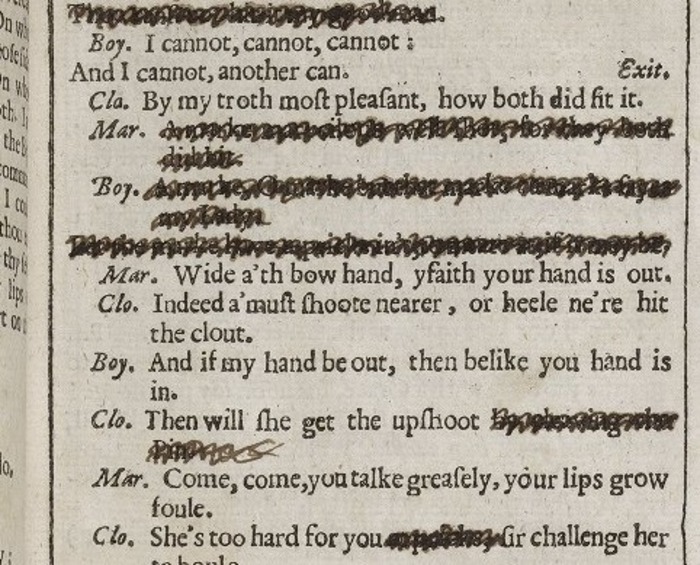 See: Print Run CLOSE or ESC slips, see Sarah Werner, “Errors,” The Collation: A Gathering of Scholarship from the Folger Shakespeare Library, http://collation.folger.edu/tag/errors/. 26 C. H. Timperley, A Dictionary of Printers and Printing: with the Progress of Literature, Ancient and Modern Bibliographical Illustrations etc. (London, 1839), 161. 27 Seth Lerer, “Errata: Print, Politics, and Poetry in Early Modern England” in Reading, Society, and Politics in Early Modern England, eds. Kevin Sharpe and Steven Zwicker (Cambridge: Cambridge University Press, 2003), 42. 28 Henry S. Bennett, Early English Books and Readers 1603 to 1640 (Cambridge: Cambridge University Press, 1990), 208-210. 29 Marissa Nicosia, “Thinking with Annotated Books: the Honnold-Mudd Fourth Folio,” June 8, 2015. https://marissanicosia.wordpress.com/2015/06/08/thinking-with-annotated-books-the-honnold-mudd-fourth-folio/	30 Anon, The king of Vtopia his Letter to the Citizens of Cosmopolis, the Metropolitan City of Vtopia (Printed at Cosmopolis in the year 7461 and reprinted at London An: Dom 1647). Wing K575. 31 See Andie Silva, “Counterfeit Letters and Fictional Trials: Thomas More’s Utopia as Cultural Brand.” Appositions 9 (2016). http://appositions.blogspot.com/2016/08/andie-silva-mores-utopia-as-cultural.html	32 See, for example, John Jowett, “Henry Chettle and the First Quarto of Romeo and Juliet,” in The Review of English Studies 1.1 (1950): 8-16; Sonia Massai, Shakespeare and the Rise of the Editor (Cambridge: Cambridge University Press, 2007); and Allen Reddick, The Making of Johnson’s Dictionary 1746-1773 (Cambridge: Cambridge University Press, 1990). 33 Stephen Dobranski, Readers and Authorship in Early Modern England (Cambridge: Cambridge University Press, 2005), 1-60. 34 Heidi Brayman Hackel, “‘Boasting of Silence’: Women Readers in a Patriarchal State,” in Reading, Society, and Politics, ed. Kevin Sharpe and Steven N. Zwicker (Cambridge: Cambridge University Press, 2003); Victoria Burke, “Women and Seventeenth-Century Manuscript Culture: Four Miscellanies,” Seventeenth Century 12.2 (1997): 135-50. 35 See Jesús Martínez de Bujanda, Index Librorum Prohibitorum: 1600–1966 (Montréal-Geneva: Droz, 2002). 36 Ugo Rozzo, “Italian Literature on the Index,” in Church, Censorship and Culture in Early Modern Italy, ed. Gigliola Fragnito (Cambridge: Cambridge University Press, 2011), 200. 37 For an example, see the images from the Beinecke Library of galley-proofs for George W. S. Trow’s essay, “Within the Context of No Context.” http://beinecke.library.yale.edu/about/blogs/room-26-cabinet-curiosities/2011/09/26/synthetic-talk-parody-defacement-no-authority. 38 John Southward, Practical Printing: A Handbook of the Art of Typography (London: J. M. Powell and Son, 1884), 323-5; 426-7. See also G. D. Hargraves, “‘Correcting in the Slip’: The Development of Galley Proofs,” The Library XXVI (1971): 295-311. 39 See Hansard, T. C. Typographia (London: 1825), 834-5. 40 G. Thomas Tanselle, “The Concept of the ‘Ideal Copy’,” Studies in Bibliography 33 (1980): 18-53. 41 See Fredson Bowers, "Criteria for Classifying Hand-Printed Books as Issues and States," Papers of the Bibliographical Society of America 41 (1947): 271-292; and Peter Shillingsburg, Resisting Texts: Authority and Submission in Constructions of Meaning (Ann Arbor: University of Michigan Press, 1996). For a case study of the role of errors in twentieth-century literature, see Vicki Mahaffey, “Intentional Error: The Paradox of Editing Joyce’s Ulysses” in Representing Modern Texts: Editing as Interpretation, ed. George Bornstein (Ann Arbor: University of Michigan Press, 1991), 171-192. 42 Wesley Raabe, “Harriet Beecher Stowe’s Uncle Tom’s Cabin: A Case Study in Textual Transmission,” in The American Literature Scholar in the Digital Age, eds. Amy E. Earhart and Andrew Jewell (Ann Arbor: University of Michigan Press, 2011), 63-83. 43 Jacob Heil and Todd Samuelson, “Book History and the Early Modern OCR Project, or Bringing Balance to the Force,” Journal for Early Modern Cultural Studies 13.4 (2013): 90-103. 44 Diana Kichuk, “Loose, Falling Characters and Sentences: the Persistence of the OCR Problem in Digital Repository E-Books,” Libraries and the Academy 15.1 (2015): 59-91. 45 Paul Fyfe, “Electronic Errata: Digital Publishing, Open Review, and the Futures of Correction,” in Debates in the Digital Humanities, ed. Matthew K Gold (Minneapolis, MN: University of Minnesota Press, 2012), 259-280. 46 For more information, see http://www.pgdp.net/. 47 See David McKitterick, “‘Not in STC’: Opportunities and Challenges in the ESTC,” The Library 7.6 (2005): 178-94. 48 Nate Anderson, "Congressional Staffers Edit Boss's Bio on Wikipedia." Ars Technica, January 30, 2006. http://arstechnica.com/news.ars/post/20060130-6079.html. Evan Lehmann, “Rewriting History Under the Dome,” The Lowell Sun, January 27, 2006. http://www.lowellsun.com/ci_3444567. 49 Amanda Fillipacchi, “Wikipedia’s Sexism Toward Female Novelists” (The New York Times, April 24, 2013. http://www.nytimes.com/2013/04/28/opinion/sunday/wikipedias-sexism-toward-female-novelists.html?_r=0 Accessed 13 June 2015). See also James Gleick, “Wikipedia’s Women Problem.” The New York Review of Books, April 29, 2013. http://www.nybooks.com/blogs/nyrblog/2013/apr/29/wikipedia-women-problem/. 50 Brief accounts of this feud also appear in Anthony Grafton, The Culture of Correction in Renaissance Europe (London: British Library, 2011), 144-7 and Percy Simpson, Proofreading in the Sixteenth, Seventeenth, and Eighteenth Centuries (Oxford: Oxford University Press, 1935), 6-7. 51 Ralph Brooke, A Discouerie of Certaine Errours Published in Print in the Much Commended Britannia (London, 1594), sig. D1r. 52 Ralph Brooke, Catalogue and Succession of the Kings, Princes, Dukes, Marquesses, Earles, and Viscounts of this Realme of England, since the Norman Conquest, to this Present Yeare, 1619 (London, 1619), sig. A3r. 53 Ibid., sig. A4v. 54 Ibid., no sig. 55 Ralph Brooke, A Catalogue and Succession of the Kings, Princes, Dukes, Marquesses, Earles, and Viscounts of this Realme of England, Since the Norman Conquest, to this Present Yeare, 1622 (London, 1622), no sig. 56 Ibid., no sig. Anthony Grafton suggests that Brooke preemptively published this edition after having heard of Vincent’s upcoming attack (Culture of Correction, 145). 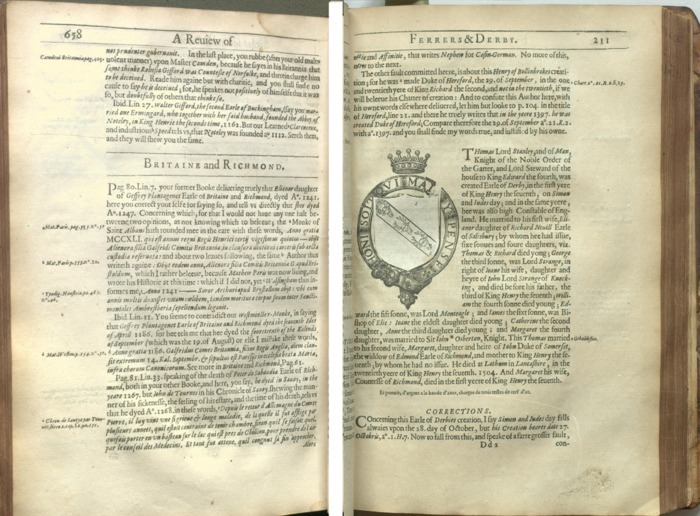 57 Augustine Vincent, A Discovery of Errors in the first Edition of the Catalogue of Nobility (London, 1622), no sig. 58 Ibid., sig. 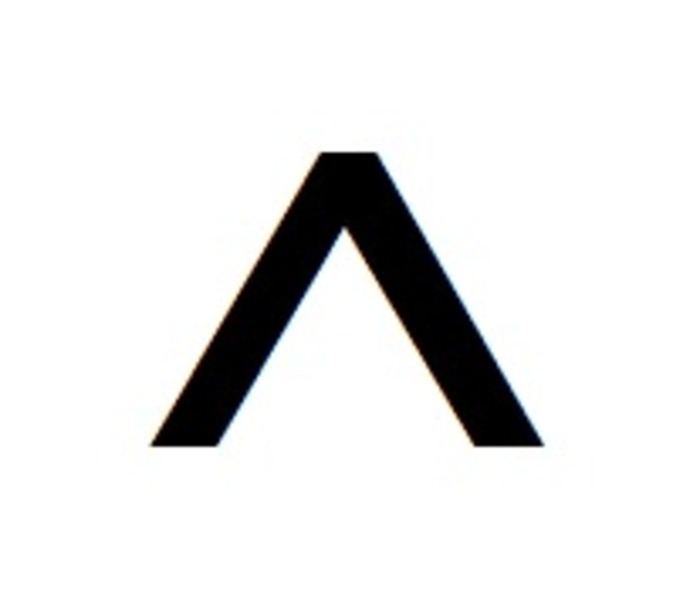 ¶ 5v. 59 Ibid, sig. ¶ 6v. The gathering of this section is unusual, as it includes an extra seventh leaf to what is otherwise a folio in 6s format. I’m grateful to the editors for pointing this out. 60 E. R. Wood, “Cancels and Corrections in A Discovery of Errors, 1622.” The Library 5.2 (1958): 125-7. Anderson, Nate. "Congressional Staffers Edit Boss's Bio on Wikipedia." Ars Technica, January 30, 2006. Accessed 13 June 2015. http://arstechnica.com/news.ars/post/20060130-6079.html. Anon, The king of Vtopia his Letter to the Citizens of Cosmopolis, the Metropolitan City of Vtopia. Printed at Cosmopolis in the Year 7461 and Reprinted at London An: Dom 1647. Wing K575. Early English Books Online. Accessed 10 June 2015. Beal, Peter and A. S. G Edwards, Scribes and Transmission in English Manuscripts, 1400-1700. London: British Library, 2005. Bennett, Henry S. Early English Books and Readers 1603 to 1640. Cambridge: Cambridge University Press, 1990. Bowers, Fredson. "Criteria for Classifying Hand-Printed Books as Issues and States." Papers of the Bibliographical Society of America 41 (1947): 271-292. Brewer, Charlotte. Editing Piers Plowman: The Evolution of the Text. Cambridge: Cambridge University Press, 1996. Brooke, Ralph. A Discouerie of Certaine Errours Published in Print in the Much Commended Britannia. London, 1594. Brooke, Ralph. Catalogue and Succession of the Kings, Princes, Dukes, Marquesses, Earles, and Viscounts of this Realme of England, since the Norman Conquest, to this Present Yeare, 1619. London, 1619. Brooke, Ralph. A Catalogue and Succession of the Kings, Princes, Dukes, Marquesses, Earles, and Viscounts of this Realme of England, Since the Norman Conquest, to this Present Yeare, 1622. London, 1622. Bujanda, Jesús Martínez de. Index Librorum Prohibitorum: 1600–1966. Montréal-Geneva: Droz, 2002. Burke, Victoria. “Women and Seventeenth-Century Manuscript Culture: Four Miscellanies,” Seventeenth Century 12.2 (1997): 135-50. Clanchy, Michael T. “Looking Back from the Invention of Printing.” Literacy in Historical Perspective, ed. Daniel P. Resnick. Washington, D.C.: Library of Congress, 1983. 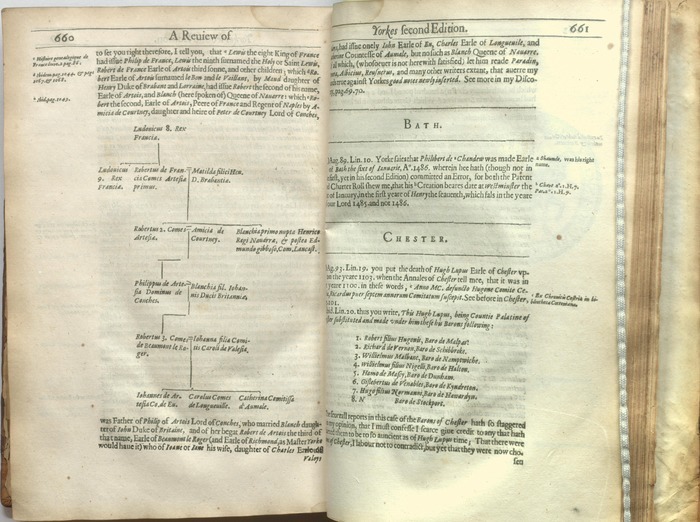 Crick, Julia and Alexandra Walsham, The Uses of Script and Print, 1300–1700. Cambridge, UK: Cambridge University Press, 2004. Da Rold, Orietta. “The Significance of Scribal Corrections in Cambridge University Library MS dd.4.24 of Chaucer's Canterbury Tales.” Chaucer Review: A Journal of Medieval Studies and Literary Criticism 41.4 (2007): 393-438. Dobranski, Stephen. Readers and Authorship in Early Modern England. Cambridge: Cambridge University Press, 2005. Eisenstein, Elizabeth. The Printing Press as an Agent of Change. Cambridge: Cambridge University Press, 1982. Eisenstein, Elizabeth. The Printing Revolution in Early Modern Europe. Cambridge: Cambridge University Press, 1983. 2nd ed. 2012. Fillipacchi, Amanda. “Wikipedia’s Sexism Toward Female Novelists.” The New York Times, April 24, 2013. http://www.nytimes.com/2013/04/28/opinion/sunday/wikipedias-sexism-toward-female-novelists.html?_r=0 Accessed 13 June 2015. Fyfe, Paul. “Electronic Errata: Digital Publishing, Open Review, and the Futures of Correction.” Debates in the Digital Humanities, ed. Matthew K Gold. Minneapolis, MN: University of Minnesota Press, 2012. 259-280. Gaskell, Phillip. A New Introduction to Bibliography. New Castle, DE: Oak Knoll Press, 1995. Gleick, James. “Wikipedia’s Women Problem.” The New York Review of Books, April 29, 2013. http://www.nybooks.com/blogs/nyrblog/2013/apr/29/wikipedia-women-problem/ Accessed 13 June 2015. Grafton, Anthony. Joseph Scaliger: A Study in the History of Classical Scholarship Volume 1. Oxford: Clarendon Press, 1983. Grafton, Anthony. Defenders of the Text: The Traditions of Scholarship in an Age of Science: 1450-1800. Cambridge, MA: Harvard University Press, 1991. Grafton, Anthony and Megan Williams. Christianity and the Transformation of the Book: Origen, Eusebius, and the Library of Caesarea. London: The Belknap Press of Harvard University Press, 2006. Grafton, Anthony. The Culture of Correction in Renaissance Europe. London: British Library, 2011. Hackel, Heidi Brayman. “‘Boasting of Silence’: Women Readers in a Patriarchal State.” Reading, Society, and Politics in Early Modern England. Ed. Kevin Sharpe and Steven N. Zwicker. Cambridge: Cambridge University Press, 2003. 101-122. Hamel, Mary. “Scribal Self-Corrections in the Thornton Morte Arthure,” Studies in Bibliography 36 (1983): 119-37. Hansard, T. C. Typographia. London: 1825. Hargraves, G. D. “‘Correcting in the Slip’: The Development of Galley Proofs.” The Library XXVI (1971): 295-311. Heil, Jacob and Todd Samuelson, “Book History and the Early Modern OCR Project, or Bringing Balance to the Force,” Journal for Early Modern Cultural Studies 13.4 (2013): 90-103. Hinman, Carlton. The Printing and Proofreading of the First Folio of Shakespeare. Oxford: Clarendon Press, 1963. Houston, Keith. Shady Characters: The Secret Life of Punctuation, Symbols, and Other Typographical Marks. New York: W. W. Norton, 2013. Howard-Hill, T. H. "The Compositors of Shakespeare's Folio Comedies," Studies in Bibliography 26 (1973): 61-106. Jowett, John. “Henry Chettle and the First Quarto of Romeo and Juliet.” The Review of English Studies 1.1 (1950): 8-16. Kato, Takako. “Corrected Mistakes in Cambridge University Library MS Gg 4.27.” Design and Distribution of Late Medieval Manuscripts in England. Margaret Connolly and Linne R. Mooney, eds. Suffolk: Boydell and Brewer, 2008. Kenney. E. J. “Books and Readers in the Roman World,” in The Cambridge History of Classical Literature II. Cambridge: Cambridge University Press, 1982. 3-32. Kichuk, Diana. “Loose, Falling Characters and Sentences: the Persistence of the OCR Problem in Digital Repository E-Books.” Libraries and the Academy 15.1 (2015): 59-91. Lehmann, Evan. “Rewriting History Under the Dome.” The Lowell Sun, January 27, 2006. http://www.lowellsun.com/ci_3444567 Accessed 13 June 2015. Lerer, Seth. “Errata: Print, Politics, and Poetry in Early Modern England.” Reading, Society, and Politics in Early Modern England. Ed. Kevin Sharpe and Steven N. Zwicker. Cambridge, UK: Cambridge University Press, 2003. Love, Harold. 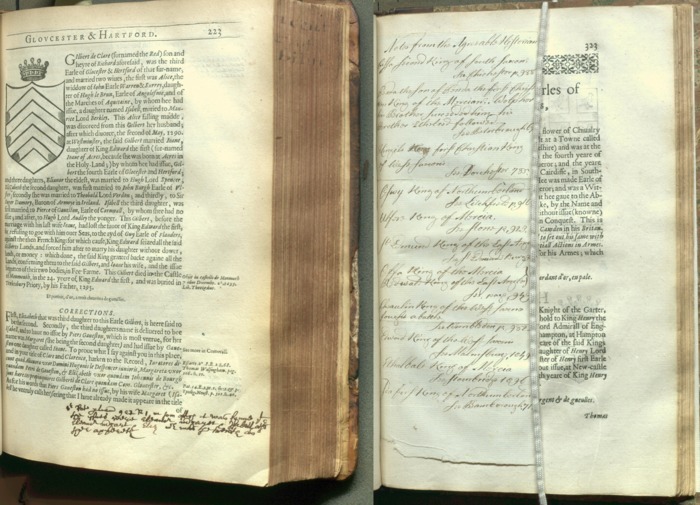 Scribal Publication in Seventeenth Century England. Oxford: Oxford University Press, 1993. Mahaffey, Vicki. “Intentional Error: The Paradox of Editing Joyce’s Ulysses.” Representing Modern Texts: Editing as Interpretation. Ed. George Bornstein. Ann Arbor: University of Michigan Press, 1991. 171-192. Massai, Sonia. Shakespeare and the Rise of the Editor. Cambridge: Cambridge University Press, 2007. McKenzie, D. F. Bibliography and the Sociology of Texts. Cambridge: Cambridge University Press, 1985. McKitterick, David. “Not in STC: Opportunities and Challenges in the ESTC.” The Library 6.2 (2005): 178-194. Raabe, Wesley. “Harriet Beecher Stowe’s Uncle Tom’s Cabin: A Case Study in Textual Transmission.” The American Literature Scholar in the Digital Age. Eds. Amy E. Earhart and Andrew Jewell. Ann Arbor: University of Michigan Press, 2011. 63-83. Reddick, Allen. The Making of Johnson’s Dictionary 1746–1773. Cambridge: Cambridge University Press, 1990. Reynolds, L. D. and N. G. Wilson. Scribes and Scholars: A Guide to the Transmission of Greek and Latin Literature. Oxford, UK: Oxford University Press, 1968. Ritschl, F. W. De Dionysii Halic. Antiquitatibus Romanis (Bresslau, 1838). Rozzo, Ugo. “Italian Literature on the Index.” Church, Censorship and Culture in Early Modern Italy. Ed. Gigliola Fragnito. Cambridge: Cambridge University Press, 2011. 194-223. Scherbenske, Eric W. Canonizing Paul: Ancient Editorial Practice and the Corpus Paulinum. Oxford: Oxford University Press, 2013. Shillingsburg, Peter. Resisting Texts: Authority and Submission in Constructions of Meaning. Ann Arbor: University of Michigan Press, 1996. Simpson, Percy. Proofreading in the Sixteenth, Seventeenth, and Eighteenth Centuries. London: Oxford University Press, 1935. Southward, John. Practical Printing: A Handbook of the Art of Typography. London: J. M. Powell and Son, 1884. Tanselle, G. Thomas. “The Concept of the ‘Ideal Copy’.” Studies in Bibliography 33 (1980): 18-53. Tarrant, Richard. Texts, Editors, and Readers: Methods and Problems in Latin Textual Criticism. Cambridge: Cambridge University Press, 2016. Taylor, Gary. “The Shrinking Compositor A of the Shakespeare First Folio,” Studies in Bibliography 34 (1981): 96-117. Timperley, C. H. A Dictionary of Printers and Printing: with the Progress of Literature, Ancient and Modern Bibliographical Illustrations etc. London: 1839. Traube, Ludwig. “Geschichte des Paläographie.” Vorlesungen und Abhandlungen. Munich: C. H. Beck, 1909. 13-30. Vinaver, Eugene. “Principles of Textual Emendation.” Studies in French Language and Literature Presented to Professor Mildred K. Pope. Manchester: Manchester University Press, 1939. Vincent, Augustine. 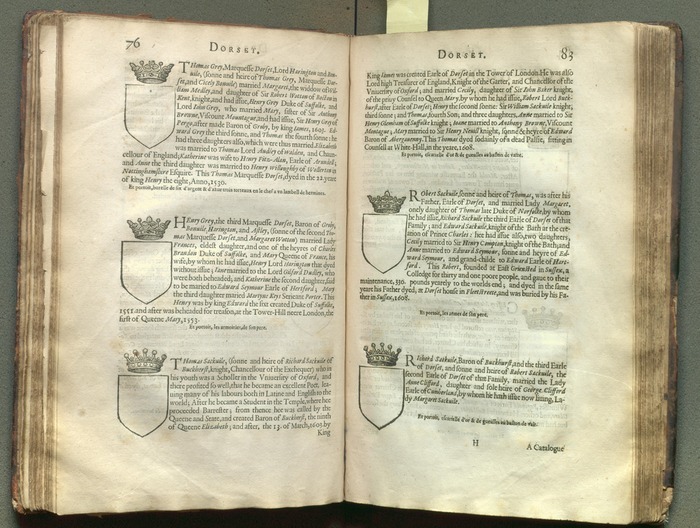 A Discovery of Errors in the first Edition of the Catalogue of Nobility. London, 1622. Wakelin, Daniel. Scribal Correction and Literary Craft: Early Manuscripts 1375–1510 Cambridge: Cambridge University Press, 2014. Warner, Lawrence. The Myth of Piers Plowman: Constructing a Medieval Literary Archive. Cambridge: Cambridge University Press, 2014. Werner, Sarah. “Errors.” The Collation: A Gathering of Scholarship from the Folger Shakespeare Library. http://collation.folger.edu/tag/errors/ Accessed 4 June 2015. Werstine, Paul. Cases and Compositors in the Shakespeare First Folio Comedies. Charlottesville, VA: U of Virginia Bibliographical Society, 1982. Werstine, Paul. 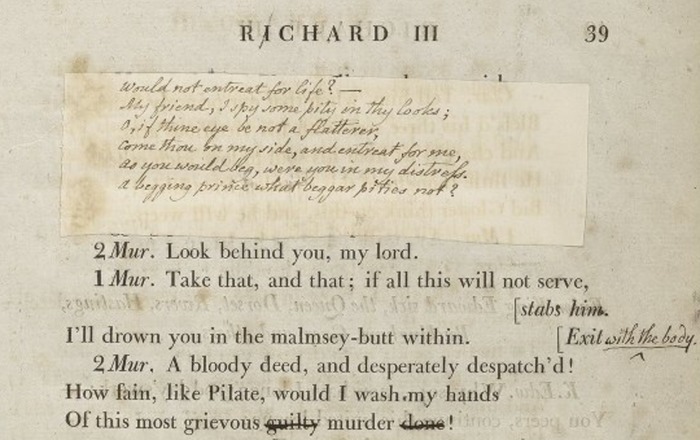 Early Modern Playhouse Manuscripts and the Editing of Shakespeare. Cambridge: Cambridge University Press, 2013. Wood, E. R. “Cancels and Corrections in A Discovery of Errors, 1622.” The Library 5.2 (1958): 125-7. Zetzel, J. E. G. “The Subscriptions in the Manuscripts of Livy and Fronto and The Meaning of Emendatio.” Classical Philology 75 (1980): 38-59. Zetzel, J. E. G. Latin Textual Criticism. Salem, NH: Ayer, 1984. Zetzel, J. E. G. “Religion, Rhetoric, and Editorial Technique: Reconstructing the Classics.” Palimpsest: Editorial Theory in the Humanities. Eds. George Bornstein and Ralph G. Williams. Ann Arbor: University of Michigan Press, 1993. 99-120. Agata, Mari. "Improvements, Corrections, and Changes in the Gutenberg Bible." Scribes, Printers, and the Accidentals of Their Texts. Eds. Thaisen, Jacob, Rutkowska, Hanna, 135-155. New York: Peter Lang, 2011. Blair, Ann. "Errata Lists and the Reader as Corrector." Agent of Change: Print Culture Studies after Elizabeth L. Eisenstein. Ed. Sabrina Baron, Eric N. Lindquist, and Eleanor Shevlin. Amherst, MA: University of Massachusetts Press, 2007. 21-41. Bowers, Fredson. "Old Wines in New bottles: Problems of Machine Printing." Editing Nineteenth-Century Texts. Ed. John M. Robinson. Toronto: University of Toronto Press, 1967. 9-36. Diekhoff, John S. “The Trinity Manuscript and the Dictation of Paradise Lost.” Philological Quarterly 28 (1949): 44-52. Greetham, David. The Pleasures of Contamination: Evidence, Text, and Voice in Textual Studies. Bloomington: Indiana University Press, 2010. Greg, W. W. “The Rationale of Copy Text.” Studies in Bibliography 3 (1950-51): 19-36. Hammersmith, James P. “Frivolous Triffles and Weighty Tomes: Early Proof-Reading at London, Oxford, and Cambridge.” Studies in Bibliography 38 (1985): 236-251. Hill, Speed W. “Presidential Address: From ‘an age of editing’ to a ‘paradigm shift’: An Editorial Retrospect.” The Society for Textual Scholarship 16 (2006): 33-47. Lerer, Seth. Error and the Academic Self: The Scholarly Imagination, Medieval to Modern. New York: Columbia University Press, 2002. Malone, Edward A. “Learned Correctors as Technical Editors.” Journal of Business and Technical Communication 20.4 (2006): 389-424. Morrison, Stephen. “What Is Scribal Error, and What Should Editors Do (or Not Do) About It?” Probable Truth: Editing Medieval Texts from Britain in the Twenty-First Century. Eds. Vincent Gillespie and Anne Hudson. Turnhout: Brepols, 2013. 261-273. Richardson, Brian. Print Culture in Renaissance Italy: The Editor and the Vernacular Text 1470–1600. Cambridge: Cambridge University Press, 1999. Silverman, Craig. Regret the Error: How Media Mistakes Pollute the Press and Imperil Free Speech. New York: Union Square Press, 2007. Stallybrass, Peter. “Benjamin Franklin: Printed Corrections and Erasable Writing.” Proceedings of the American Philosophical Society. 150.4 (2006): 533-567. Yates, Julian. Error, Misuse, Failure: Object Lessons from the English Renaissance. Minneapolis: University of Minnesota Press, 2003.